YOU HAVE A LETTER: It’s been a year……! | Precious Thoughts! YOU HAVE A LETTER: It’s been a year……! Don’t tell me you have no idea what ‘PT’ stands for? Precious Thinker! That’s what PT stands for. This letter has long been overdue. I am one who keeps track of certain things, especially time. But honestly, I never really realised that one year had gone by. Can you believe that this uncertain idea Precious Thoughts is a year old? A year ago, I ventured into dropping thoughts on here, I was not certain of everything I wanted to blog about. All I knew was I had a goal that my blogging needed to accomplish. Oh! I have to tell you that when I started blogging, it was to encourage all and everyone. I was ready to brew encouragement from every kind of story. Everything is all about perspective. And the whispers were no jokes. ‘You need to do this and that, if you really want to get lots of readers’ This was said in different forms. Of course, I was attentive to those whispers, after all, this was something I had never done before.But one whisper stood out, ‘Princess, write out the goal of your blog, and revisit it frequently’. Gradually, the chaff was separated from the wheat. Revisiting the goal of this blog made all posts align appropriately. In the course of this change, I learnt the significant lesson of pursuing a cause and not looking for applause. There are days when the flesh is hungry for that validation, but then the Holy Spirit reminds me of why ‘Precious Thoughts’ is here. It is not about Grace cheering you on or Bob giving you a high-five. I have learnt to revel in joy getting an applause from God. Trust me, it’s an amazing feeling. Did I ever tell you that I actually thought that I made a wrong move disclosing my career path? I was thinking that you will be expecting that I make use of the ‘bigger words and grammars’, seeing that I am a person that separates my legal world from my social world. The legal write-ups, projects/presentations and career life are where I display my prowess. Outside that, I communicate with the most simplest words. You won’t believe that I thought it was a weakness, a failing on my part. Little did I know that, the ‘separation’ is a gift. It is amazing how the Spirit of God reveals deep truths to us. Now that I do this [blog], I know that bloggers are human beings behind the electronic devices. They have other projects they deal with, they have family members that need attention, they get discouraged, angry, depressed, they make mistakes. In all honesty, bloggers are human. Please, don’t ask me why I may have felt any different, I cannot give you a coherent answer; so I won’t try. If I must be honest, the reason why this post took so long to be published was as a result of some the mentioned feelings; but this girl has learnt and is learning to rise above such feelings. Keep moving! In addition to being human, the enemy still prowls. One thing is sure- dude does not sleep. If he is not allowing a heavy cabinet fall on me, he is trying to take my joy or setting up obstacles to prevent a post from being published. The list is inexhaustive. I am sure you have your fair share, because I am certain that you are working towards fulfilling your God-given purpose. Since, you are doing this, he is fighting you. Be rest assured- he won’t win. You are an overcomer. You will win, just make up your mind to seek to find the things God is doing in the midst of those tight situations, and thank God. God is always doing something, we either focus our attention on what God is doing or what the devil is doing. We always have a choice. Aha! you will find it useful knowing that, the green-eyed monster [Envy] starts with admiration. Yes, the enemy has no chill, neither should you [me]. The Holy Spirit is always a good sport, when it comes to pointing out those little seeds that may be planted; and I do not joke with the promptings, I go hard with the war against such seeds. So I see excellent works done by other bloggers, and I am happy to appreciate the beauty of God in bestowing another such talent. And oh! I am ready to WORK it out not WISH it out. C’mon, the starting of a thing is not always easy, I should not be wishing to reap the same fruits like blogger G, when he/she has been blogging for five years, while I am just getting started. Nah! I must mow my lawn. I remember being told that I could not really do this blogging thing because I am not social. Well! I know that I definitely do not read my blog posts alone, and I do not know only myself. It has been great knowing exceptionally talented bloggers. 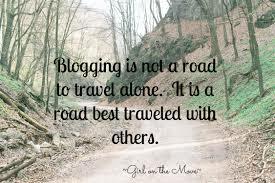 I also know that a blogger cannot be an island. Networking is key. I will never underestimate networking. Networking with my readers and fellow bloggers. But you see, I am writing this letter for you to register this in your heart- I do not take for granted that you read my posts, leave your comments, share my posts and teach me with your comments/suggestions. I cherish all that you do – My family, Friends, Fellow Bloggers and Readers. It’s a year down, and many more years to go. I will love for you to get involved with Precious Thoughts. Make your suggestions, ask your questions- preciousthoughts2013@gmail.com. I look forward to being used as a vessel and learning from you. The last year has been amazing, through the good and bad days; and I know it can only get better. Happy One Year Anniversary PT! Oh wow!…Congrats mami….I see your posts on G+ and you are an amazing writer…I will visit again….1 year is alot!.. Yes! I will. Thanks a lot for your support. Pingback: Rhema From My Bus Route | Precious Thoughts! 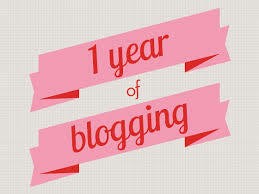 Awwww, happy one year blogoversary babes! Wish you above all things, that you will fulfill your purpose and fulfill ministry with this blog in Jesus name amen! And it’s amazing(?) just how similar your battles on blogging is similar with mine. The green eyed demon? Yes, I have felt it. The unwillingness to write? Yes, I have felt it. The depression? The comparisms? The i’m not good enough? Ah, i’ve felt it all. satan isn’t joking, he will do all he can to stop us from fulfilling God’s purpose in our lives and stopping God’s words in us from reaching others. he battles us in our minds..when I moved and self hosted my site with a clear cut purpose for my blog,satan bombarded my thoughts eh..i had to get out my JM battlefield of the mind that I had bought earlier to chew up and I thank the Holy Spirit, always giving me words and scriptures that helped. Good thing is, the battles drew me closer to my Bible and to God. We can’t relent in this, even one slip, satan uses it but we are conquerors through Christ! Whether they hate it or not, the light in us must shine through. The river of the words must flow. We will fulfill our ministry! Thank you Bar. Frances. *wink wink* Amen! Girl, getting closer to God has and will always be the solution to all the darts of the enemy- one of the lessons of 2014. And you are so right, we cannot relent. Amen and Amen. Love you hun. Keep shining!